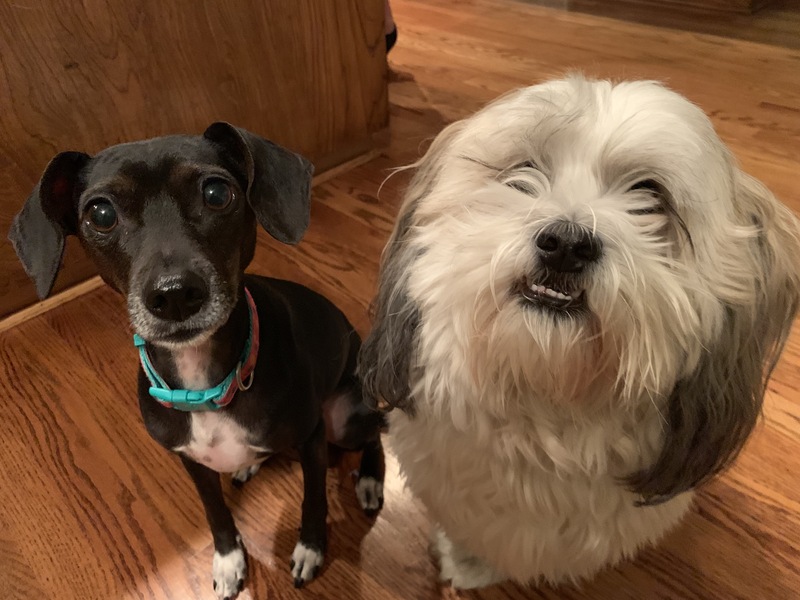 For this Omaha dog training session we taught 4 year-old Terrier / Dachshund mix Flora and 5 year-old Shih Tzu mix Wriggley see their humans as authority figures as well as how to Stay to help them get over their separation anxiety. Flora is a very anxious dog, clearly under stress. Just like humans, stress can lead to many other problems so I spent the first part of the session sharing Dog Psychology tips that will help reduce her stress, boost her confidence and motivate her to engage in actions and behaviors her guardians like. As a dog behavior expert, I have found one of the best ways to stop separation anxiety in dogs is to help them practice being alone in the easiest version possible. My preferred way to do this is to train a dog to stay. You can learn how to use the stay to help your dog get over separation anxiety in the free dog behavior training below. Teaching a dog to stay isn’t hard, it just takes practice and patience. Most people move too far too fast or try to teach the stay for distance, duration and distraction all at once. Once the dogs can stay for duration and distance, the guardians can have them practice staying out of their sight for progressively longer and longer periods of time. This build their confidence and most importantly gives them experience of being calm when apart from their guardians, a crucial skill any dog needs to get over separation anxiety. With some practice, they will be able to help the dog get over their separation anxiety problem for good. Ive used this approach to stop separation anxiety in many dogs over the years. To help the guardians remember all the other dog behavior tips I shared in this in home dog training session, we shot a roadmap to success video that you can check out below.